It's been a while since I did my first Face of the Day post.. even after saying I wanted to do it more. Well now it's the perfect time to get back into it since I have a whole bunch of new products from the Generation Beauty event I went to recently. I wasn’t sure what look I wanted to go for, but I was drawn to Crown Brush’s Sea Green eyeliner pencil and knew I would surround my look around that colour. I began by moisturizing my face with Olay – Active Hydrating Moisturizer. 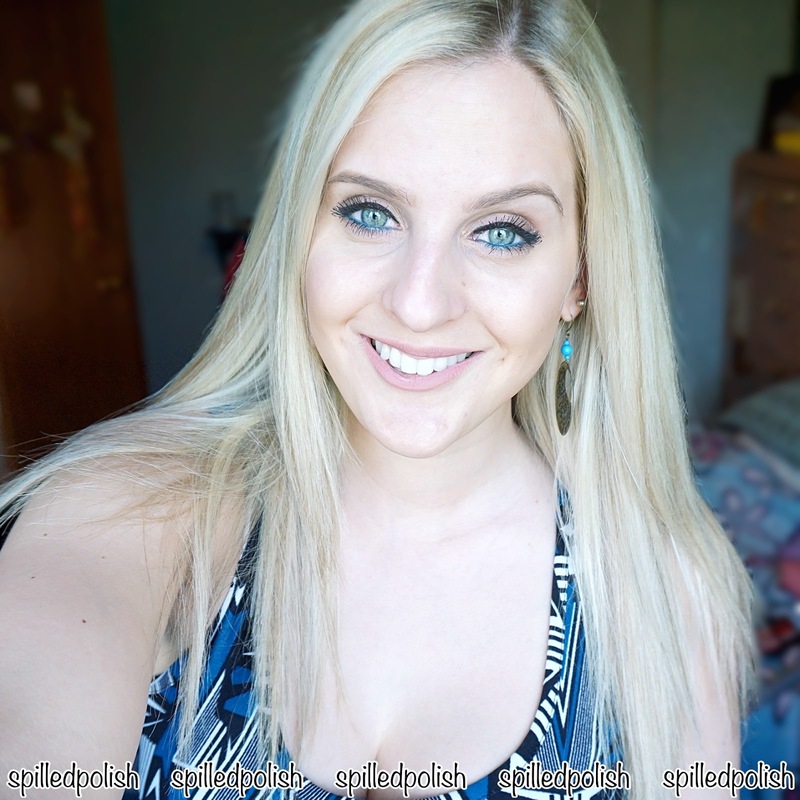 I let it soak into my skin for about 5 minutes and then primed my face with Smashbox – Photo Finish Pore Minimizing Primer. 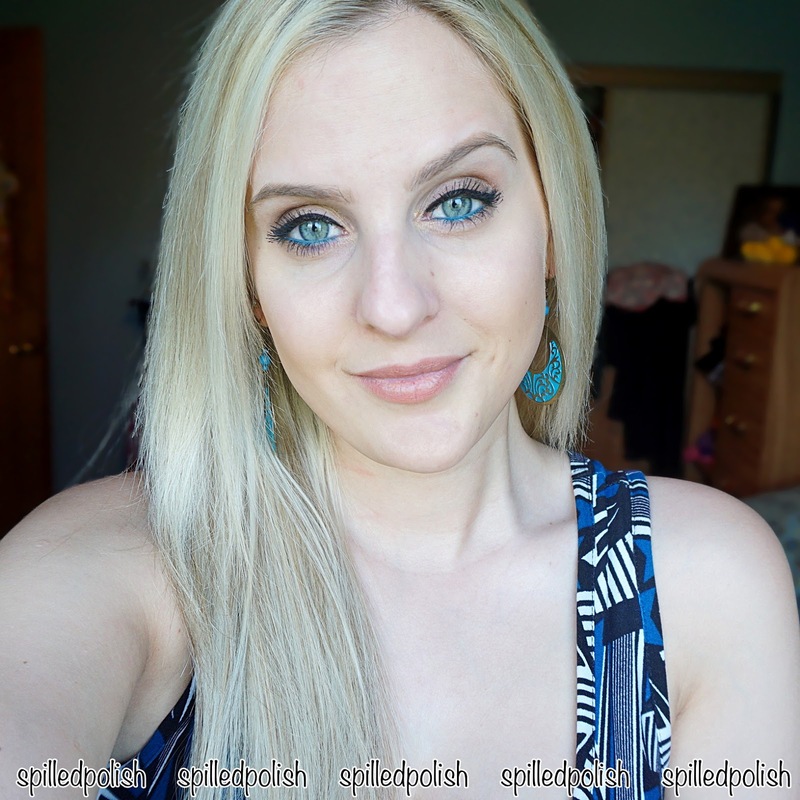 I used Physician’s Formula - #InstaReady BB Cream in Light all over my face. I’ve never used a BB cream before because I wanted the full coverage that a foundation could give. However, the coverage of Physician’s Formula’s BB Cream was great - It covered any red marks and discolourations I had. I then went to putting on my eye makeup (leaving my concealer and powders for last because I stretch my skin when applying eyeliner and eyeshadows, so I don’t want to smudge that). I lined my lower eyelid with Crown Brush – Eyeliner in Sea Green. I used a couple of shadows from CoverGirl’s Golden TruNaked Eyeshadow Palette to do a soft golden/brown smokey eye. I used Inglot - Black Gel Eyeliner (#77) to add a winged liner to each eyelid while using ELF - Small Angled Brush. I used three different mascara’s from Essence (in this order): I Love Extreme Crazy Volume Mascara, Lash Princess False Lash Effect Mascara, & I Love Extreme Volume. I then used Crown Brush’s Pointed Powder brush to help apply my concealer under my eyes (NARS – Radiant Creamy Concealer). It worked great as the bristles aren’t too soft where it’ll just push the concealer around, and it wasn’t too hard where it would have left creases in the makeup. I also used their Flat Bronzer Brush to apply my powder all over my face. I like to apply a bit more powder then a normal foundation brush gives, and I like how the flat makeup brushes can help blend your makeup together as it buffs everything together. I’m not used to contouring, but Physician’s Formula made it super easy with their new Contour Trio Sticks! I used their Bronze one for simple easy contouring. 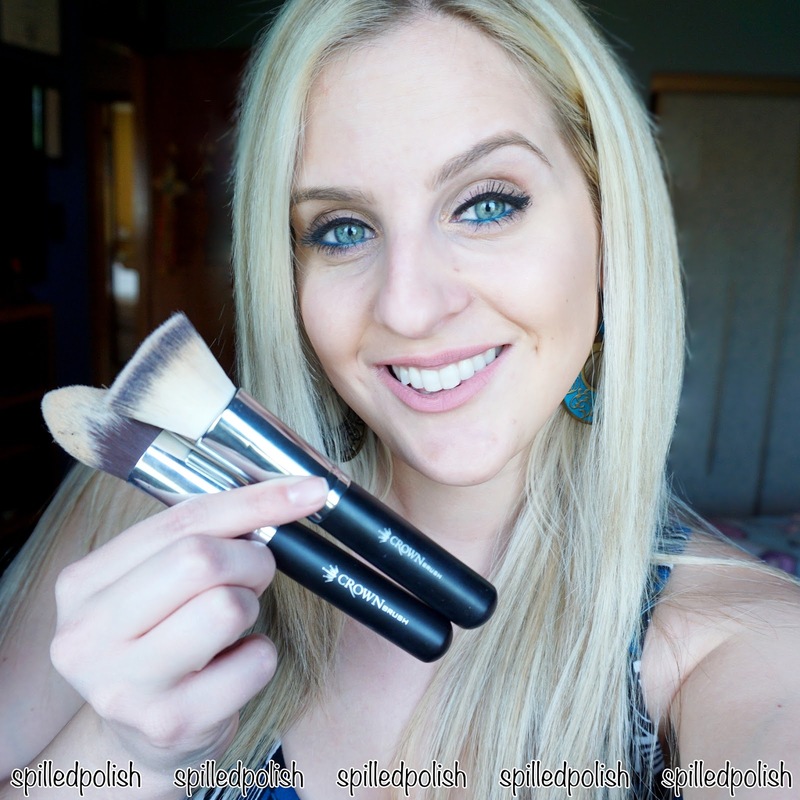 It blended nicely into my skin after brushing it in with the same Flat Bronzer Brush by Crown Brush. I went over the tops of my cheek’s for an extra pop of highlight with Luxie - Tapered Highlighter Brush and ELF – Gotta Glow. 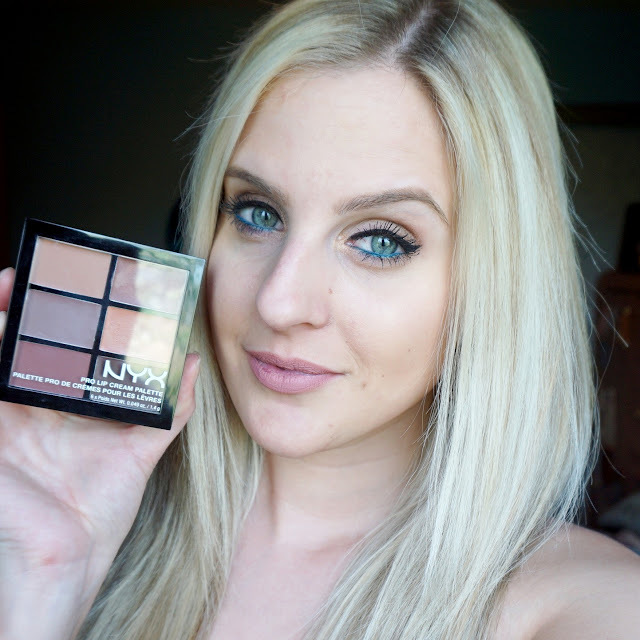 I finished off the look with two lip colours from NYX - The Nudes Pro Lip Cream Palette.